By Michael Poh in Office. Updated on November 14, 2017 . 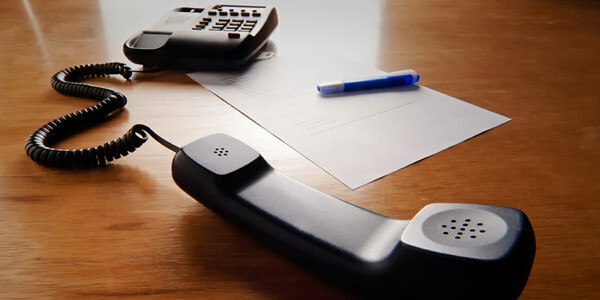 Many interviewers usually use phone interviews as a pre-screening filter for further interview assessments. Think it’s a piece of cake getting ready for your phone interview with your potential employer? Beware, whether you actually make it to the follow-up actual interview depends on how well you do on the phone. Contrary to popular belief, phone interviews can be substantially different from face-to-face interviews. After all, it is essentially an exchange of verbal words without any hint of body language, so you can’t bank on them to help make an impression. In circumstances like these, pausing too long could hint on hesitation or a loss of concentration. We take a look at how phone interviews are different and hence require a different strategy to score. 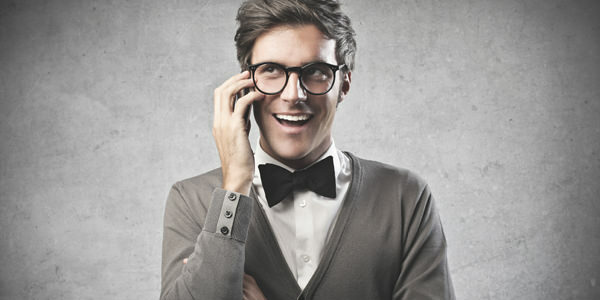 Here are 8 exclusive tips that will get you well-prepared for that incoming phone interview. A lot of people have the impression that telephone interview is easier than a face-to-face interview. To some extent, that may be true because you’ll feel less pressure without the presence of the interviewer. However, as a result of this perception, interviewees tend to treat such phone interviews lightly and unknowingly sabotage their chances by going in unprepared or using a less-than-formal tone with the interviewer. The best policy is to treat the interview as how you would treat any formal in-person interview, aka don’t cut yourself some slack. Prepare and rehearse answers to tackle some of the most asked interview questions. You should also consider washing up and dressing up for the occasion even though you’re doing the interview in the comforts of your home. This will put you in the right mindset so that you will communicate to the interviewer in the proper manner. Not having the interviewer see you squirm with anxiety might be a plus for you, but it can also be highly detrimental. Since they’re not able to see you at all, they’ll need to rely heavily on your voice tone and pitch to assess you and gauge your confidence level. Most of us are aware how different (and weird) we sound over the recorder. Even if you think you’re speaking clearly and with energy by your own standards, the other party may still think otherwise when they hear you speak. To get a more accurate feedback of how you sound like over the phone, you might want to get a few friends to practise with and help you determine what you can improve on. At the very least, you should try recording your own voice and playing it back to hear it. Some of the more common speech issues include speaking too fast, slurring and talking monotonously. All you need is practice, practice and more practice. Let’s try this: smile and talk to yourself in front of the mirror and compare that with just talking to yourself without smiling. You’ll notice that your voice sounds more lively and friendlier whe you smile because your vocal cords are pulled differently. Besides that, you’ll instinctively find yourself more relaxed and positive when you do that. So what does this mean? Well, if you slouch your body on your couch during the phone interview, you sound different from when you are sitting upright in a chair. And the interviewer can tell the difference. This is because your posture affects how you breathe and consequently your tone of voice. If you can, during the interview try to talk into a Bluetooth earset so that your hands are free to gesture. Gesturing has been known to facilitate thinking, helps one to be more fluent in their speech and increases the level of enthusiasm in one’s voice. One edge you have with a phone interview is that you can lay down all the info you need in front of you. You can worry less about the details of your resume or stumbling upon a touch interview question that requires an online check. To be safe, have a computer with you and stay connected throughout the interview. This is for an emergency scenario when the interviewer asks something you didn’t prepare for and couldn’t answer them on the spot. They might ask you questions pertaining to the company you’re applying for, or general knowledge about the industry (e.g. any ideas who our competitors are, and what market share they hold?). Whatever it is, don’t take too long on your search or you will seem inattentive, preoccupied or hesitant to them. Oh, they might hear you type too! Like face-to-face interviews, expect yourself to encounter silences from the interviewer. It’s easy to jump into conclusions and feel uncomfortable when that happens. Don’t be too quick to fill in the gaps to break the deafening silence because it might give a less-than-confident vibe. Remember that the interviewer may be taking notes on the other hand. To lessen the uncertainty and gain some control for yourself, try this: Get a photo of your interviewer if possible and place it in front of you. As he or she conducts the interview, look at the photo and visualize the interviewer’s expression to reduce your anxiety. It will feel much more natural for you as you speak and it helps in relieving your tension as compared to simply listening and answering to the voice on the other side of the line. The other thing that’ll empower you as an interviewee is your freedom to arrange the time and set up the environment for the interview. Even if they call up impromptu, they will usually ask if you’re okay to take the interview now or check with you later in at a more suitable time. Try to agree on a time when you’re most energetic (e.g. morning) and have some extra time to spare, just in case the interviewer takes longer than expected (typically 20 to 30 minutes). Once you’ve fixed the interview appointment, it’s time to prepare for the interview environment. Common sense tells you that you’ll want it to be a place where it’s quiet with few distractions around. However, you probably wouldn’t want to conduct the phone interview in your office if you’re switching jobs! The best place I can think of is your house and in a locked room if you live with others and/or have pet(s) around. Sometimes you may have the tough luck of getting an inexperienced interviewer or one who likes to mumble through his sentences. Yet, it seems improper to just ask him or her to repeat what was asked because it might reflect badly on you, making you sound as though you are inattentive or easily distracted. What do you do then? One good way is to paraphrase their questions. Turn their question into a question from a different angle and ask for verification. This will appear more polite than to say ‘I’m sorry?’ or ‘Can you repeat your question?’ and thus possibly avoid offending the interviewer. It’s okay even if you paraphrased it incorrectly because at least it shows that you’ve taken the effort to ascertain what was being asked. It’s the era for mobile phones but if you don’t want to risk poor phone reception or even worse, disconnection, opt for the more reliable landline. If none is available, ensure that all your notifications and alerts are turned off if you can anticipate their call. The sudden background tone or vibration can be a major distraction when you’re being interviewed. Again, treat it like an actual face-to-face interview. Whether you’re using a mobile phone line or a landline, be sure to check with someone to see if the other side could hear you loud and clear. Do the same checks for volume and distortions to ensure both sides are comfortable conversing through the phone.